Publisher's profile: Goodsol Development Inc. 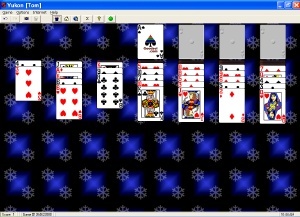 Written permission is needed to distribute Pretty Good Solitaire on any CD-ROM, unless the CD-ROM is distributed with a magazine (cover disk). You should carefully read the following terms and conditions before using this software. Your use of this software indicates your acceptance of this license agreement and warranty. You may load the software into RAM as well as install it on a hard disk or other storage device. You may not modify, translate, disassemble, reverse engineer, decompile, or create derivative works based upon the Software.